COMMISSIONER of the Independent Commission of Investigations (INDECOM) Terrence Williams says fatal police shootings continue to fall. He said there has been improvement in the cooperation between the investigative body and the Jamaica Constabulary Force (JCF), which has resulted in less use of excessive and deadly force by the police during their operations. 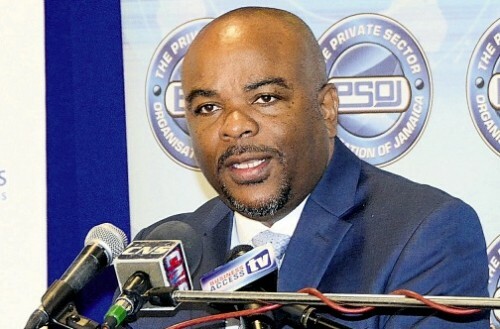 “It is not that the police must not use force to defend themselves, and to defend us, but that use of force must be reasonable and proportionate,” Williams told a Private Sector Organisation of Jamaica-organised forum at the Jamaica Pegasus Hotel in New Kingston on Tuesday. According to Williams, up to three years ago, fatal shootings by the police averaged 250 per year, with the number falling significantly to 129 in 2014. He said that 50 fatal shootings have been attributed to the police up to the middle of 2015. He said that several protocols have been developed to secure long-term cooperation between the police and INDECOM, with frequent meetings held between the body’s assistant commissioner and the constabulary’s deputy commissioner in charge of the Inspectorate Branch. “They discuss practical cooperation on the ground to smooth conflicts and issues discovered by our investigations. From these meetings, we have agreed protocols for how our respective members should interact,” Williams said.